A friend of mine, who will go unnamed but she knows who she is, recently mentioned she was thinking of having some work done. "But what would you have done?" I asked. "Because you already look great." This wasn't said to reassure her. She really does look great. "Oh, you know. A nip here, a tuck there. I could go to a spa and come out looking refreshed and rejuvenated." "I don't think you'll like spa food," I told her. I mean, I know about these things because at the Garth household we are assiduous readers of Paddington Bear and there's that one chapter where he goes to the spa. Long story short, Paddington finds spa food is tasteless and served in insufficient amounts. He smuggles in jars of marmalade, distributes it to the spa patrons and mayhem ensues. Which, come to think of it, sort of describes every Paddington Bear story. Anyway, point is, I am practically a leading expert on spa food! "Johanna," she said raising her eyebrows. "Spa food is amazing." I didn't think she would buy my Paddington Bear theory so instead I tried another tack. "It's surgery. You know that, right? I mean, every time you have surgery there's a chance something could go wrong." I would have added the possibility of syringes being sewn back inside her skin or googled horrible botched facelifts but she already gives me a hard time about my obsession with avian flu. "Maybe you're right," she said and our conversation moved on, but because I'm me, I couldn't stop thinking about it. Why would my fit, attractive friend consider, even for a moment, going under the knife? And on a broader spectrum, what does our cultural obsession with plastic surgery and youth say about us as individuals and as a society? Putting aside the feminist, medical and self-esteem issues, let's focus on the practical. 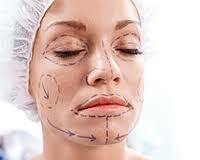 From a purely practical standpoint, most plastic surgery I've seen looks plastic, as in fake. Even the best work results in a face that doesn't match the rest of the body. When we lived in Manhattan my Park Avenue dermatologist encouraged me to start early with a little botox so any lines I might be developing wouldn't be noticeable. "It's the gift you give yourself," she promised. "And your husband will thank you later." Clearly, she didn't understand that my husband is the kind of guy who does a happy dance whenever I manage to use a coupon. There was one thing my dermatologist was right about though. I am getting lines around my eyes. It's true, I'm not as young as I was ten years ago. The things is, I'm quite certain there's still no surgical process to magically turn back the clock and restore my youth. Even if there was, would I want it? The last ten years have produced two children and hundreds of thousands of words. That would be a lot to give up just to get rid of a few wrinkles. In the end, why not just accept that we're getting older and do it in style, a style that doesn't resemble Malibu Barbie. That being said, if you (or my very good friend) decide to go through with it, I'll bring over some Matzoh Ball soup and tell you you look ten years younger, because cooking and being a supportive friend are two other things that I've gotten better at in the last ten years. Excellent post! Am I the only one who finds wrinkles attractive? To me, they tell stories. And I love the Paddington Bear tie-in. Paddington rocks. In my mind wrinkles are like trophies. They are proof that you have lived. Whether they are from a hard life full of sorrow or a life full of laughter, they still are proof that you have lived. Wrinkles give a sense of wisdom and maturity to a person. They bring to mind words such as distinguished and dignified. I do not think they make a person look old, I think they make them look alive. I have always been told you should never trust a skinny cook, well I think the same could be said of a person with no lines on their face. Oh, man--I agree so much that it looks fake. i don't know why anyone would want that. I mean sure, I'd love it if my eyes didn't take a could hours to lose the puffy thing when I get up... my my lines show I'm a person who smiles and laughs a lot--they give a clue to my personality. People without them look stuffy--like they neer smile, right? Just found your blog through a friend's and wanted to say hi! Hart, that book rings a bell. I'm putting it on my list for when my daughter gets just a little bit older. Shelly, hi and welcome. Thanks for stopping by. It's strange the way my mind works ever since having children. Some day I'll probably blog about my critical analysis of Madeleine and Madame Clavel. One of my family members decided to have plastic surgery on their face and liposuction at the same time. There was a huge amount of pain afterwards. I'm all for people deciding what to do with their own bodies and plastic surgery for reconstruction after injury or disease, but I can't imagine choosing to volunteer for it. Then again, I'm still young. Who knows how I'll feel in ten or twenty years from now.